Valentines day is right around the corner and this last minute idea will absolutely impress your loved ones. When you think about making home made chocolates I bet you never thought it could be both easy and delicious. Here I’m sharing a very simple way to make incredible tasting chocolates. The first thing you will need is a mold, and for Valentines day I choose this adorable heart mold. I’m very pleased with the size and the shape of the chocolates. I also plan to make these heart chocolates all year round for the kids, because my son suffers from a peanut allergy. Making our own candies at home is the safest way to ensure there is no cross contamination with nut ingredients. My preferred method is whisking the chocolate in a double boiler. If you do not own one this option pictured below is an inexpensive double boiler that fits over any small existing pot you may already own. To sprinkle or not to sprinkle? That will be up to your personal preference. 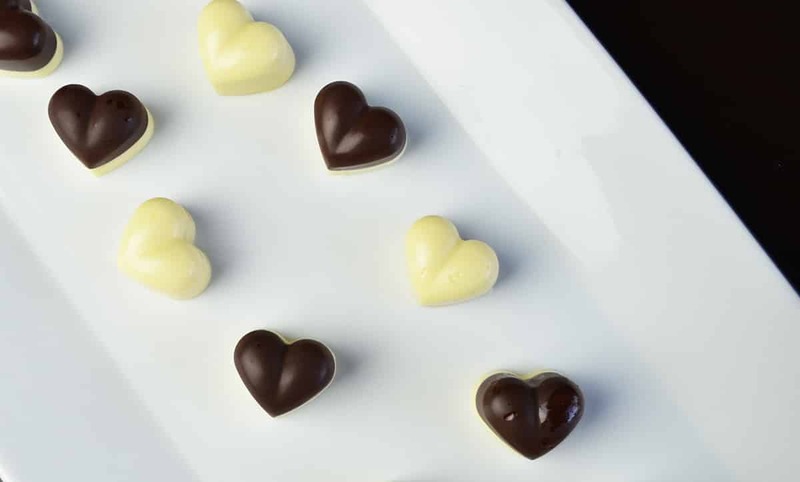 The taste of these double chocolate hearts is one to be desired with a hint of coconut from the oil. The dark chocolate mixed with the white chocolate is superb. I also made a few chocolate hearts with only white chocolate and well, you just can’t go wrong either way. These are mine and the entire families favorite homemade candies. I can’t wait to make them again on Valentines day or just because. 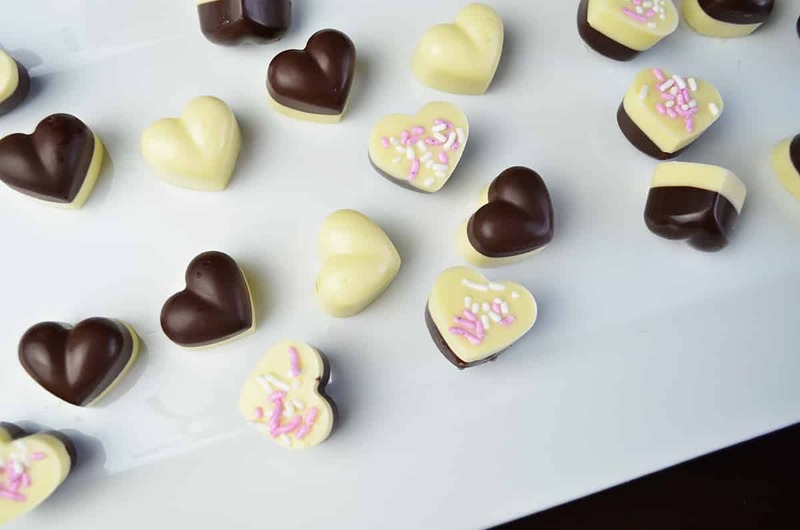 These Chocolate Heart Candies may become your new Valentines Day tradition!